Move on the Date of YOUR Choice! 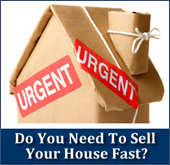 Do you want to sell a House FAST and with no hassles? We are investors that buy houses and our manager is a licensed real estate broker. We buy several houses a month and we can buy yours. We offer flexible plans to buy and sell houses that allow sellers and buyers to move out or in very quickly with no hassles. Regardless of a seller's reasons for selling we will work a solution. We buy houses in the Greater Tuscaloosa and Birmingham Alabama areas in all price ranges and in all situations.We offer a wide variety of ways to buy and sell properties. We handle all of the necessary paper work and all closings are overseen by a real estate attorney. Great care is taken to assure that all documents adhere to state and local guidelines. Please check out the rest of our site here. Let us know if we can be of assistance in any way. If you want to sell your house click on the "Sell Your House" tab above. CONTACT US 24 HOURS/7 DAYS WEEK CALL (205) 759-9899 OR CLICK HERE! Copyright © Cindy Tolbert. All rights reserved..